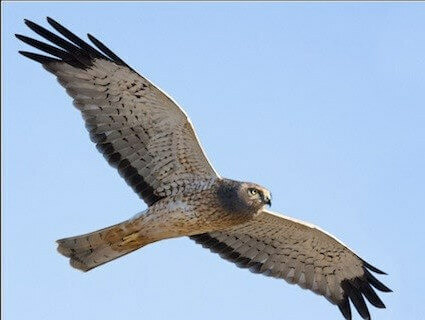 Northern harrier hawk. Photo by Ganesh Jayaraman. The co-sponsored NepRWA / DCR Quincy Winter Seabirds Watch went off well considering the 11-inch snowfall the day before. It was a fine sunny morning, about 30 degrees and nearly calm conditions. The group met at the weather shelter, adjacent to the dock at the very large DCR parking lot, and had a strong turnout of 17 attendees. Maggi Brown, a DCR interpretive ranger, and Les Tyrala, NepRWA board member, gave the introductory comments and attendee, Christene Whitebread, current president of the South Shore Bird Club, spoke briefly about the club’s numerous free, local bird trips. Of the birds that were seen, two were highlights of the watch and not even seabirds: a bald eagle riding a thermal over the Neponset River and a northern harrier hawk over the DCR Squantum Point Park. Would live to join the group. Space available? Jean, there is no limit to the size of the group. Please join us! We look forward to seeing you, Tom!